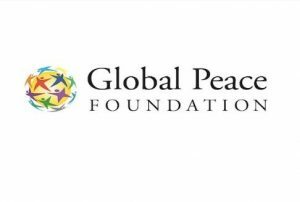 The Global Peace Foundation has successfully secured a U.S. Department of Homeland Security Countering Violent Extremism Grant to implement a Train-the-Trainer and Cross-Community Engagement Program in New Jersey. The Program aims to develop and provide training and foster community engagement to counter violent extremist recruitment by 1) raising the awareness of frontline law enforcement workers and community leaders about indicators connected to violent extremism and 2) strengthening community and law enforcement partnerships to counter violent extremism through community engagement. WRI will evaluate the program’s Camden effort — measuring the impact of the trainings, workshops, and community engagement events by assessing changes in knowledge, attitudes and future anticipated behaviors of training and workshop attendees; assessing training and workshop satisfaction; and measuring ownership by community leaders and collaboration with law enforcement to address violent extremism. community engagement events in 3 New Jersey cities —Jersey City, Paterson and Camden—to strengthen community and law enforcement partnerships. Over 1,500 community members and law enforcement personnel are expected to benefit from these events. The Walter Rand Institute is proud to support such an important effort. Page last updated by Senator Walter Rand Institute for Public Affairs at 10:44 am March 29, 2018 . This page was printed from http://rand.camden.rutgers.edu/2018/03/29/countering-violent-extremism/ at 4:07 PM Monday, April 22, 2019.